Phyllis Baker was just 16 when the Germans occupied her small island home. This is her story of love and war. Shortlisted in the 2018 Imperial War Museum Short Film Festival. 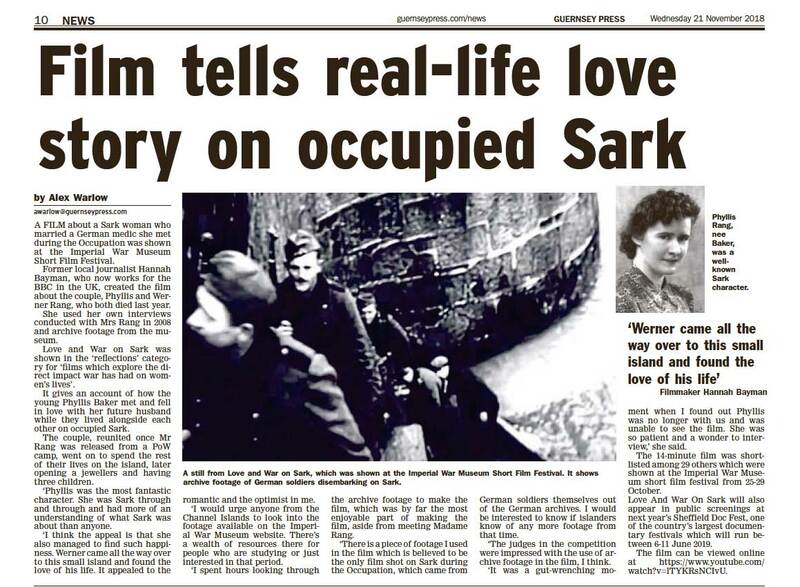 Beautifully produced by the former local journalist, Hannah Bayman, who created the film about the couple, Phyllis and Werner Rang.